David G. Bayliss Professional Corporation is a GTA criminal law firm dedicated exclusively to the defence of people facing criminal charges in the Greater Toronto Area and throughout Ontario. The team of David G. Bayliss represent their clients by honing their skills, knowledge and experience in one focused area. We believe all people charged with crimes deserve a strong and competent defence. Call 416.598.5250 to arrange a free consultation. Credit cards are accepted. Also, we accept Legal Aid Ontario certificates, in certain cases. In 1984, David G. Bayliss, began his legal career alongside pioneering criminal defence lawyers Jack Pinkofsky and James Lockyer, and soon became a partner of Pinkofsky Lockyer where he gained valuable experience in criminal appellate and trial advocacy. During David’s tenure, Pinkofskys, as it came to be known, grew into Canada’s largest criminal law partnership. Subsequently, in 2010, David left Pinkofskys to form his own firm, David G. Bayliss Professional Corporation. The criminal law firm of David G. Bayliss provides legal services in Toronto, the Greater Toronto Area (GTA) and Durham Region. Other areas serviced include Scarborough, North York, East York, Etobicoke, Markham, Pickering, Whitby, Ajax, Oshawa, Richmond Hill, Thornhill, Newmarket, Woodbridge, King City, Vaughan, Aurora, Sutton, Barrie, Orillia, Mississauga, Brampton, Oakville, Hamilton, Halton, Newmarket, Kitchener-Waterloo, Cambridge, Guelph, St. Catharines and London. Also, David will serve anywhere in Ontario and all Canadian provinces. If you or someone you care about has been arrested and charged with a crime, seek experienced legal advice as soon as possible. 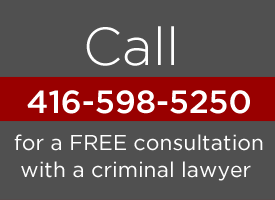 Contact David G. Bayliss Professional Corporation, a leading GTA criminal defence law firm, by e-mail or call 416.598.5250 to arrange a free consultation. Please see our page about Conflict of Interest.